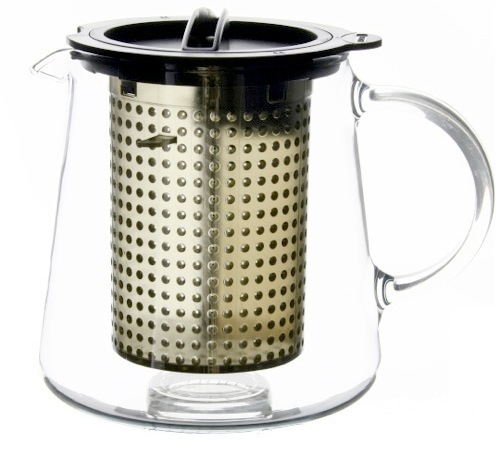 This pack contains a double-wall glass teapot and a permanent infuser. Made by Finum. It is a small teapot will a capacity for 40cl (400ml).